Only two guards on sentry duty. 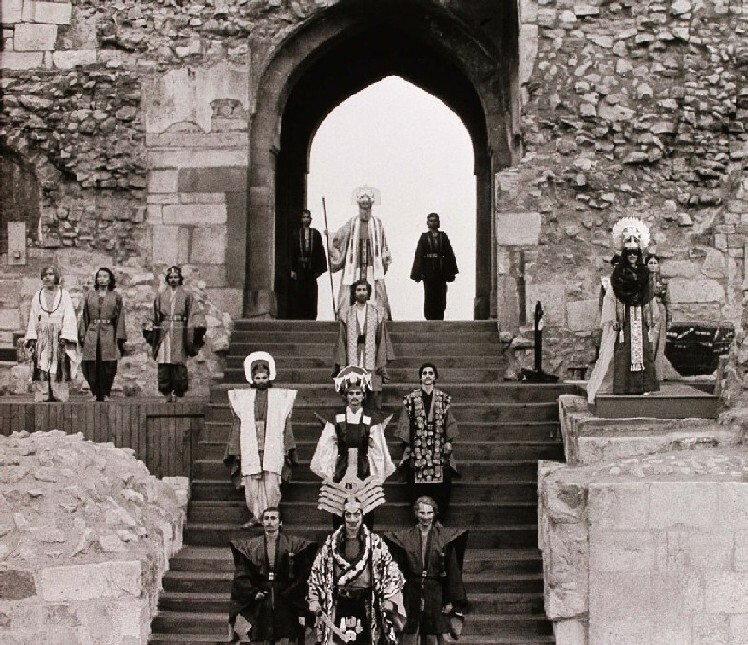 The stylized costumes of Ebrahim Alkazi’s open air staging of Dharmavir Bharti’s Andha Yug (A Blind Age) which deals with the aftermath of the Mahabharata war. Sadly no up close ladies. 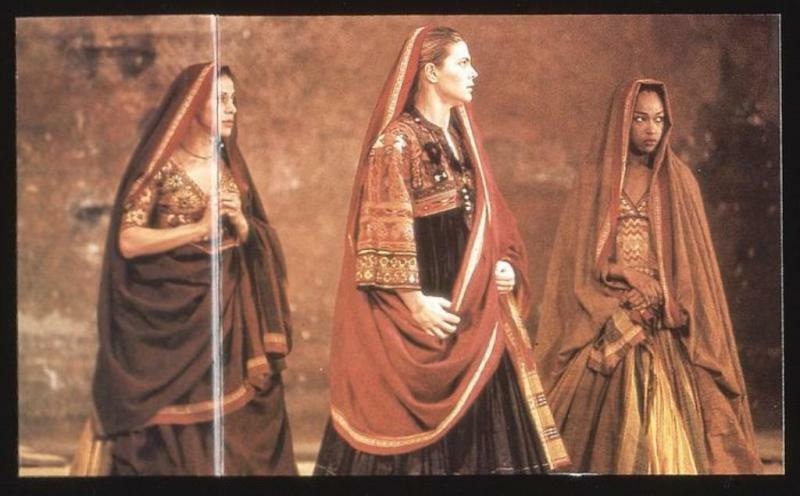 Peter Brook’s Mahabharata,with a multinational cast, takes the anti-Bollywood route with voluminous, austere garments that are nevertheless not accurate for the time. 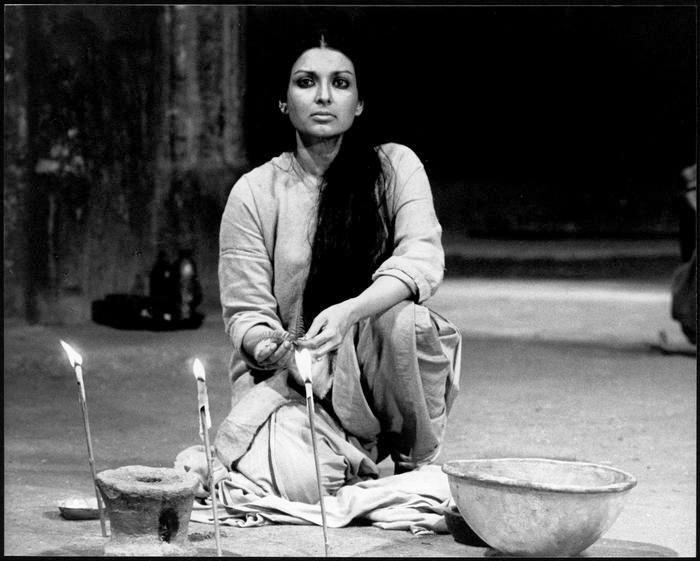 The first photograph is of Mallika Sarabhai as Drapaudi. The second is possibly the three elder queens of the epic. Conflicting views on the production here, here and here. This entry was posted in Ancient India, Epics, Sari Blouse, Theatre and tagged Andha Yug, Dharamvir Bharti, Ebrahim Alkazi, historical costume, mahabharata, Peter Brook, theatre. Bookmark the permalink.